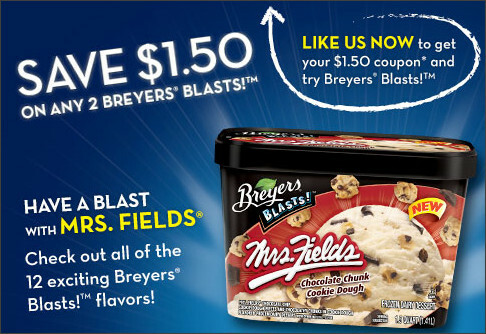 Head on over to Facebook and "Like" Breyers to score a coupon for $1.50 off 2 Breyers Blasts! That makes it only $2.49 for 2 after coupons! That makes it only $1.75 each!